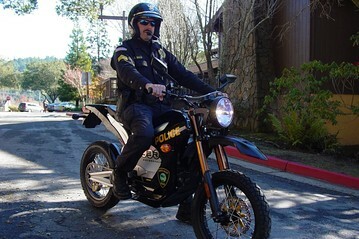 The Scotts Valley Police Department (of Santa Cruz County, California) recently accepted delivery of an electric motorcycle: the Zero DS. According to the Wall Street Journal, Scotts Valley PD is the first law enforcement agency in California to do so. The PD is using the bike to evaluate the performace of the Zero DS in law enforcement situations, such as responding through traffic and on local bike trails. Citing the motorcycle’s quiet all-electric drivetrain, they believe the Zero DS may be the perfect motorcycle for patrolling in urban areas where noise may be a factor. 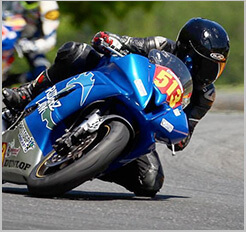 According to Zero Motorcycle’s website, the bike accelerates from 0-30 in under 2 seconds, delivers over 50 ft-lbs of torque, and performs similar to a 250cc gas-powered off-road motorcycle. The bike has a range of up to 50 miles, and is highway legal.